Most cat owners know what it’s like to be kneaded. Using their front paws and alternating between right and left, your little fluff ball manipulates you as though she’s kneading dough. It’s a common and uniquely feline behaviour that is seen in kittens soon after birth. 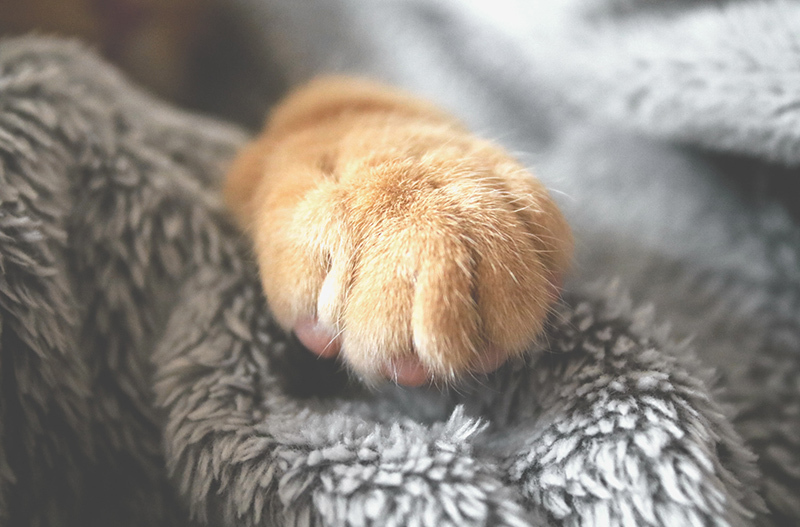 As well as people, cats knead objects such as a favourite bed or blanket – and sometimes even other cats. One explanation is that it’s a way of marking their territory, by transferring her scent from the sweat glands on the bottoms of her paws. But as with many feline traits that we take for granted, there’s actually more to it. In the novel Cat out of Hell, bestselling author (and feline fan) Lynne Truss makes a rather alarming suggestion: that kneading is a historical throwback to the feline technique of killing people by severing their femoral arteries! But don’t panic – she’s writing fiction. Science has a much less sinister explanation. Professor John Bradshaw of Bristol University reminds us that cats are far less domesticated than dogs and that their interactions with us are driven less by learned behaviour than by pure instinct. Because your puss actually thinks you’re a ‘larger, non-hostile cat’, she treats you like one. So when a moggy kneads, it’s a behaviour that’s meant for her mother’s stomach, to stimulate the flow of milk as she snuggles up. It makes sense that this instinctive behaviour is also comforting to a grown-up cat, and may be used to soothe herself when she’s feeling anxious. Equally likely is that an adult cat’s kneading may show contentment because she associates it with the comforts of mum’s nursing. However, your kneading cat might also be a needy cat: sometimes this behaviour may indicate that attention or treats are wanted. Another theory is that kneading harks back to a time before domestication when wildcat ancestors supposedly patted down tall grass or leaves to make a soft surface for dozing or giving birth. So the trait may now be an instinctive part of settling down, except that instead of foliage, puss kneads your clothing. It’s nice to know that you’re needed, but not if it involves claws. If it’s a tad uncomfortable, try redirecting the paws to a cushion or blanket, or hold the front paws together gently while stroking and distracting her with a treat or a toy.